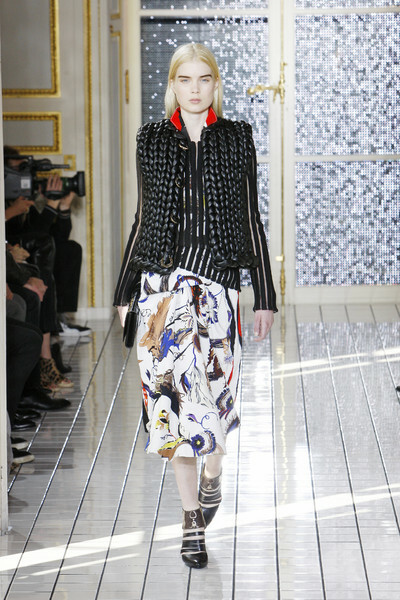 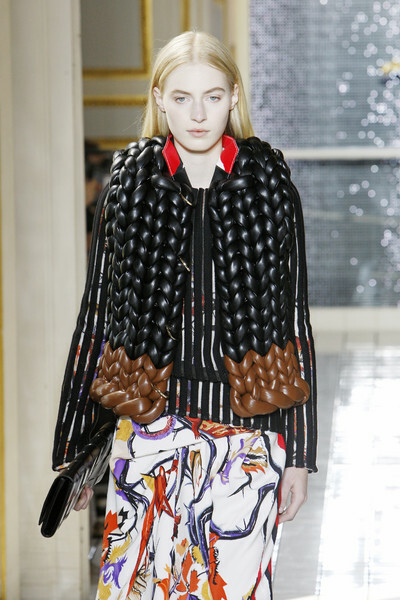 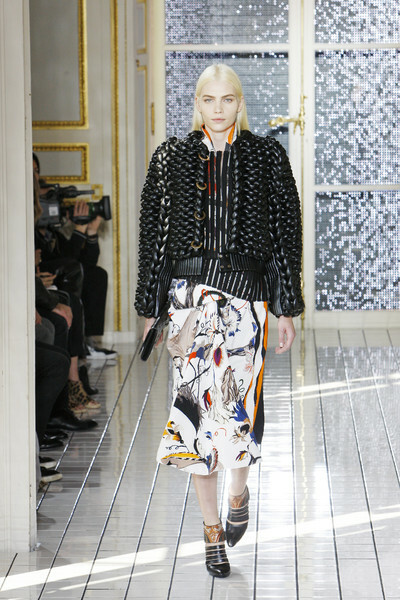 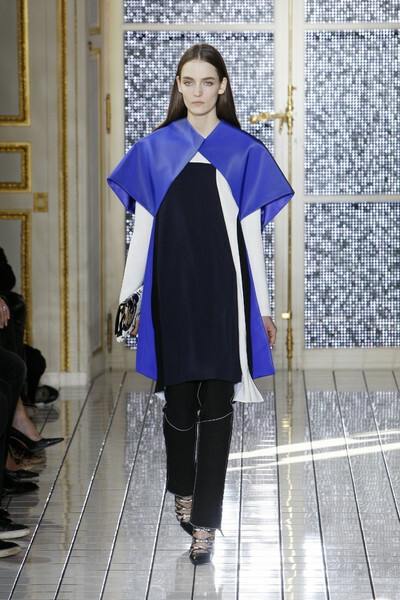 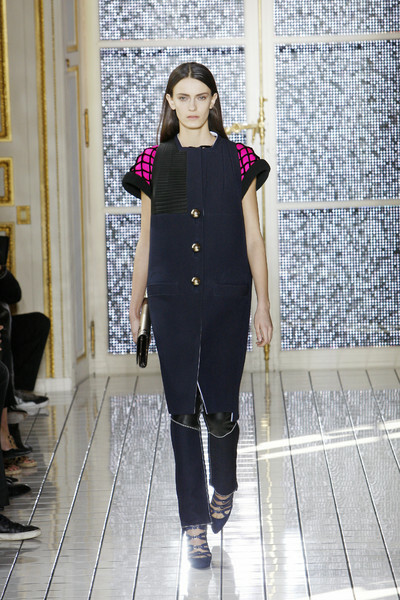 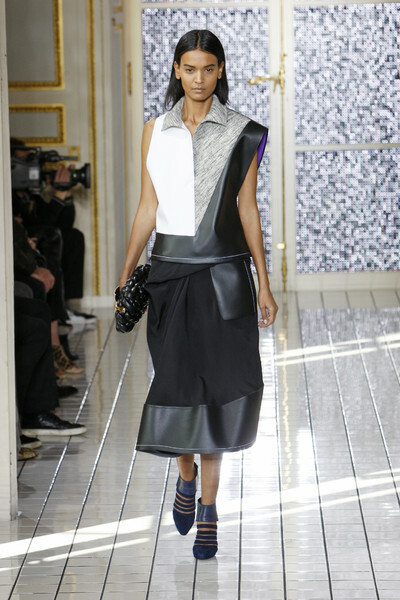 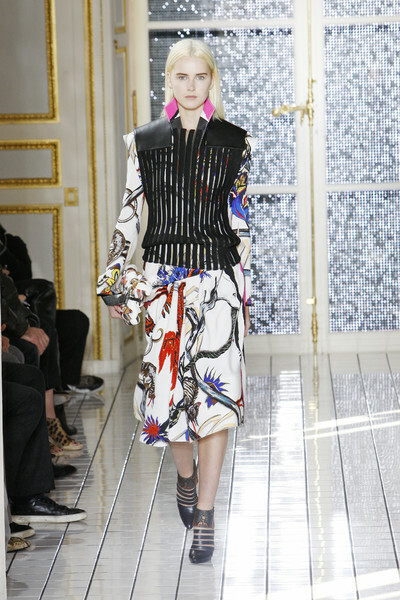 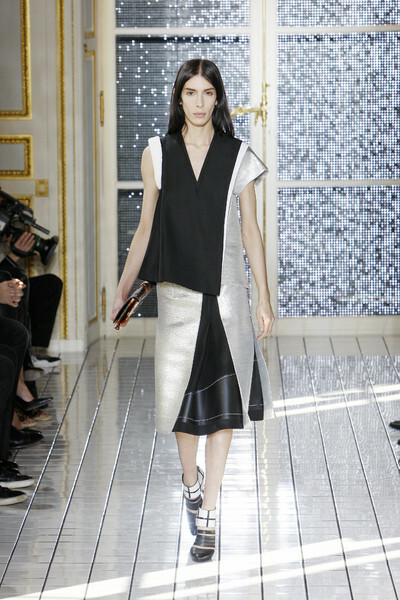 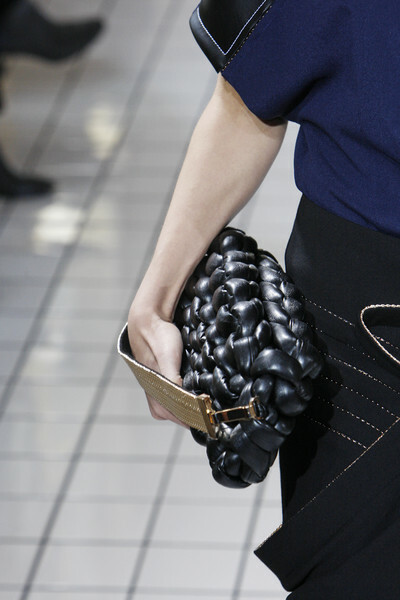 Again the Balenciaga-collection was full of modern, surprising fabrics, silhouettes and clothes. 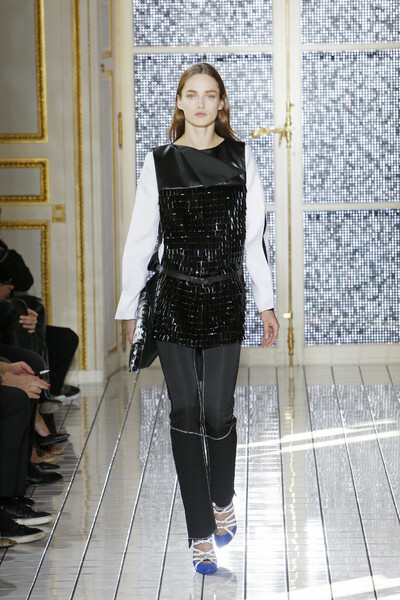 The punk spirit of last season seems gone but is replaced by a softer, more feminine theme. 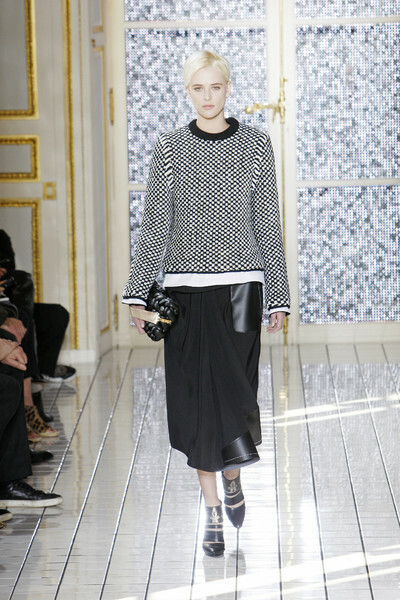 Soft, draped longer length skirts, knitted leather, tunics worn over pants, skinny pants with zippers at the back of the legs, soft oversized coats and comfy sweaters made a gentle look. 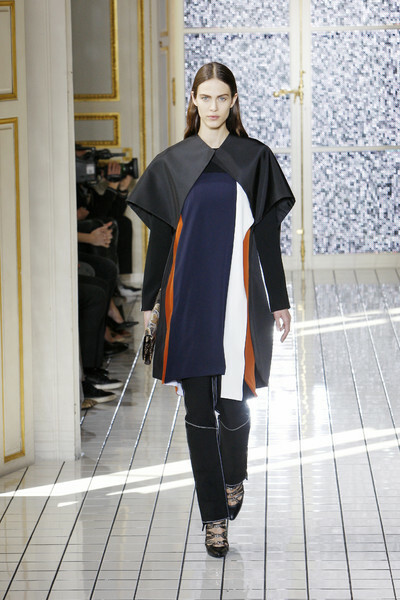 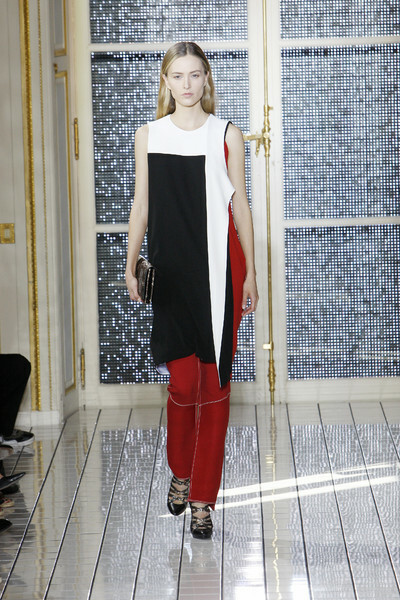 Of course there we graphic colorblocking elements in the collection, andbesides black, white and gray Ghesquiere used orange, blue, brown and green.